Washington D.C., Mar 11, 2017 / 04:02 pm (CNA/Europa Press).- Despite being victims of harassment and violence, Egypt’s Coptic Christians have set a standard of forgiveness that everyone should imitate, the leader of the Coptic Orthodox Church in the U.K. has said. 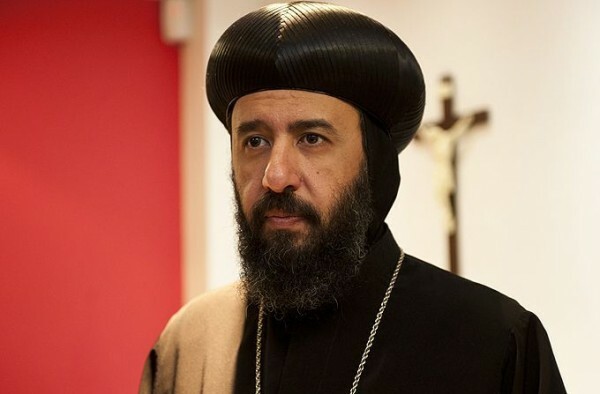 Egypt’s Christians have been loyal, peaceful, and forgiving amid a recent spate of violence that has driven hundreds from their homes, Bishop Anba Angaelos, general bishop of the Coptic Orthodox Church in the U.K., told CNA in an interview. “I take a huge pride in their witness and in their example,” he said. In the last three months around 40 Egyptian Christians have been killed, including in a bombing of St. Mark’s Coptic Orthodox Cathedral in Cairo in December that killed 29. Local Islamic State affiliates in Egypt’s Sinai region have been targeting Christians, intending to drive them out of the area. Attacks in al-Arish, a city in the Sinai region, have resulted in seven deaths, with hundreds of Christians leaving their homes. Their needs are “provided for,” Bishop Angaelos said, from his conversations with local Coptic bishops, and the government is working to provide education for the children. Yet, he added, “they won’t go back unless the problem has been resolved.” The perpetrators of the attacks are still in the region and could strike again. Life in Egypt is not easy for its Coptic Christians, who trace their roots as a community to St. Mark, who first evangelized the area. Christians make up 15 percent of the Egypt’s population. Yet in many ways, especially in the country’s rural areas, they are treated as second-class citizens as they are victims of discrimination or even violence, and their churches have been attacked. Yet the crimes have not been properly investigated and punished by local authorities. Christians have seen “many positive things” in the national government of President Abdel Fattah el-Sisi, Bishop Angaelos noted, but “what we’re not seeing done is a robust system of law and order at the local level” where security forces can curtail criminal acts and then the local judiciary can hold the perpetrators accountable. “Because otherwise what happens is an overwhelming sense of impunity, and a criminal confidence that continues escalating the violence and the attacks,” he said. Yet the international community must also be aware of the importance of promoting peace in the country so Christians can remain in their homes, he insisted. He estimated Egypt’s Christian minority to make up around 80 percent of the overall Middle Eastern Christian population. What can be done to help the embattled Coptic Christians? “First and foremost prayer,” the bishop explained. However, advocacy is also vital in a time when ongoing conflicts can be supplanted in the news cycle by even more terrible and explosive tragedies. “Just because it’s not the top item in your newsfeed doesn’t mean it’s [not] still happening,” he maintained. The U.S. must also pressure Egypt to ensure that Christians enjoy equal rights as the rest of the citizenry, he said. “This isn’t just about governments. This is about individuals feeling vulnerable economically, and so therefore the weaker elements also become vulnerable to radicalization,” he said.